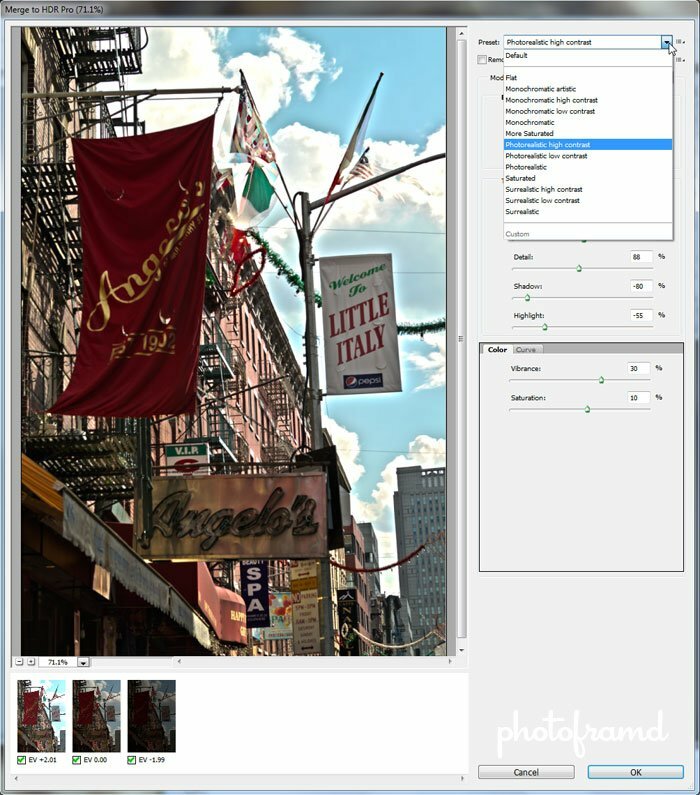 One of the many enhancements in Photoshop CS5 was to the Merge to HDR Pro. Adobe claims that it now rivals the stand-alone HDR programs. 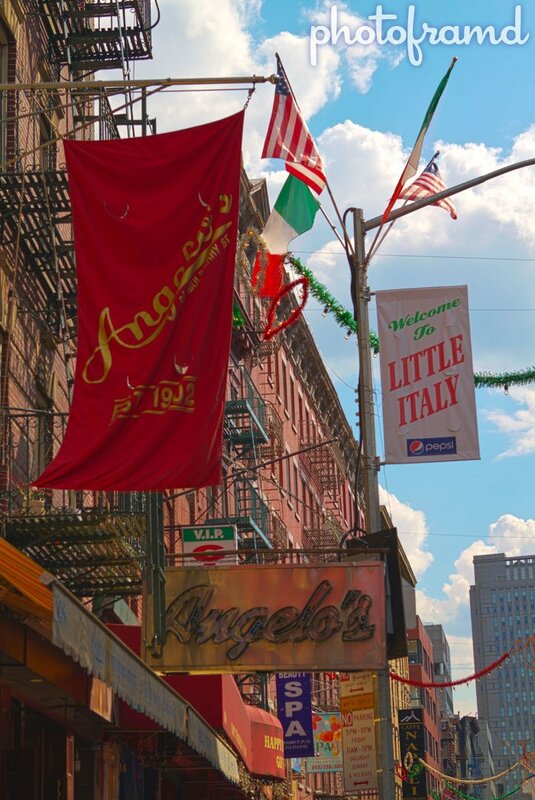 The above image was generated through Photoshop CS5’s HDR merge using 3 Canon 7D Raw images. If you wanted to skip to the next step, you can. However, if you want to prep the Raw files first Photoshop CS5 will use those Camera Raw settings during the import process. This means you can adjust the Exposure and use both Recovery and Fill Light to bring out more details. 2. 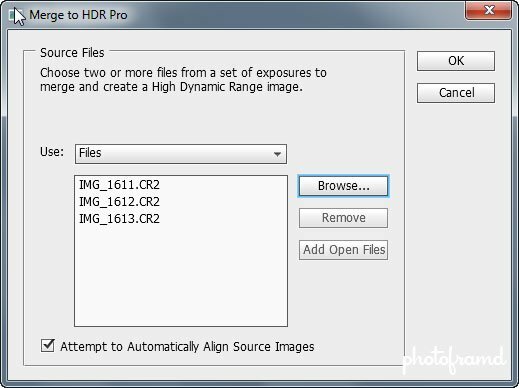 Import Raw Files directly into HDR Pro. 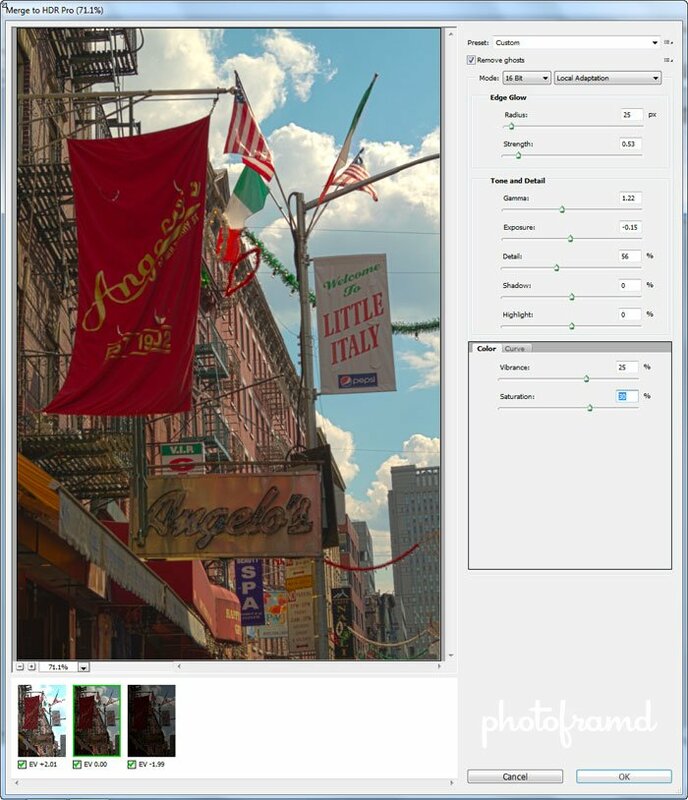 Photoshop CS5’s HDR program is hidden under the File > Automate > Merge to HDR Pro. In the pop-up dialog box, click the Browse button and select the files to be merged. CS5 handles the Canon 7D Raw Files perfectly. Be sure to have Attempt to Automatically Align Source Images checked. Photoshop does a great job at lining-up the images, even if they were hand-held! 3. Once merged, you can further refine the image by adjusting the settings. The Camera Raw files now appear as thumbnails at the bottom. You can even remove a photo from the process by unchecking it. At the top, be sure the Remove Ghosts is checked. 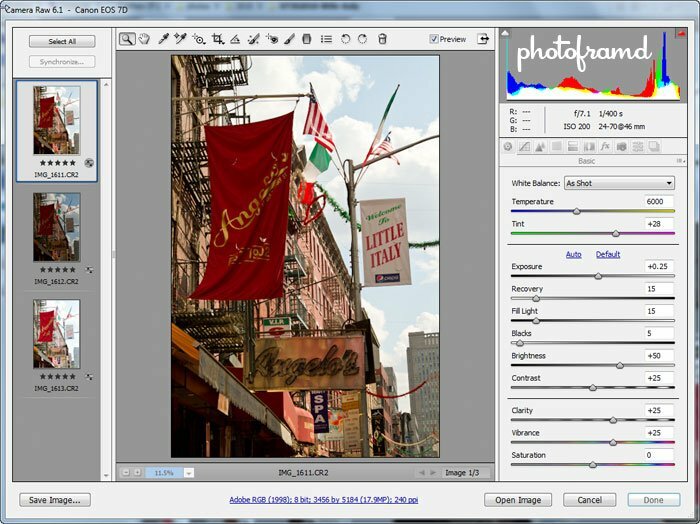 Photoshop will compare changes in the photos and use the difference from one photo as the source in the merged image. All of the other settings will be applied on the fly to the merged image. 4. Use the Presets to create that more extreme HDR look. Do you want that more extreme HDR look? It’s simple by using the Presets in the drop-down menu. These settings can still be tweaked through all the other settings. So how does Photoshop CS5 compare to the stand-alone HDR programs? Next up, using the same photos in Photomatix 3.2.